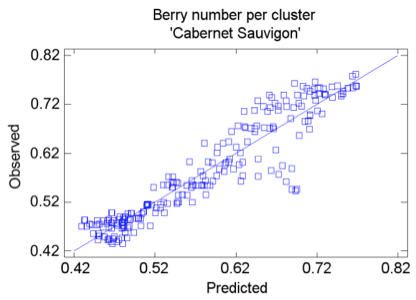 In viticulture, berry number per cluster, berry size and weight are key parameters for yield estimation and are linked to grape and wine quality. 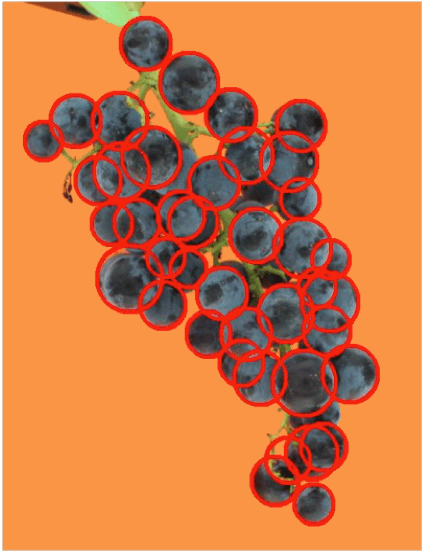 In this work, red, green and blue (RGB) image analysis has been used as a tool to automate the measurement of the weight of each individual berry of a grapevine cluster as well as to estimate the berry number per cluster under laboratory conditions. 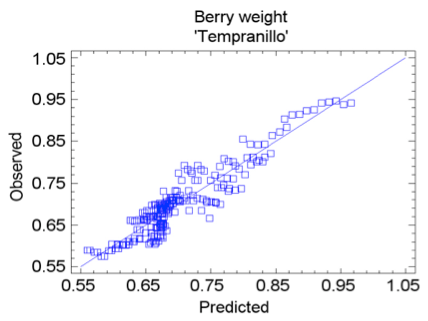 Two algorithms have been tested to find the contours of the berries in the images based on the Canny and Logarithmic Image Processing LIP-Canny approaches, determining for each the best operating parameters to optimise the further process of berry detection. The final detection has been done by means of the Hough transform. By means of the present low-cost, image analysis methodology, a large set of samples can be automatically measured in a few minutes, saving time and providing objective and precise information for yield estimation, which could be attempted to be used in the field, or implemented in an on-the-go monitoring system. Diago M.P., Millan B., Aleixos N., Tardaguila J., Prats-Montalbán J.M., Blasco J. Detection of individual berries in a grapevine cluster by automatic image analysis. Submited.